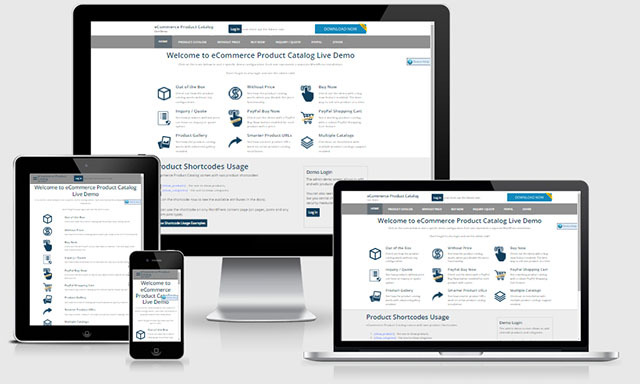 A clean, customizable, responsive multi purpose product theme with several color schemes. Full eCommerce Product Catalog integration with additional premium features included! This is a premium version of our free Catalog Me! theme. You can see the Catalog Me! product theme in action in our demo. Both from the front-end and back-end. After you login in the demo you can see what customisations you can make to the theme. Don’t forget to watch the demo page on your mobile device and check this out yourself! The quick access feature allows you to point the user to the most important parts of your website. In our demo the quick access functionality points the user to multiple catalogs configurations. The quick access is created with a custom widget that comes with the theme but you add there any widget you choose to! The quick access widget allows to set image icon, title and description. Each quick access element can be linked to any page. You can add as many widgets as you need there! Like any on any other widget area. The quick access are can be displayed only on your front page or on every page of your website. If you prefer to set your completely custom styling (instead of using predefined color schemes) you can set individual styling settings for theme header, content and footer. All of this with simple, intuitive and well organized settings! Catalog Me! 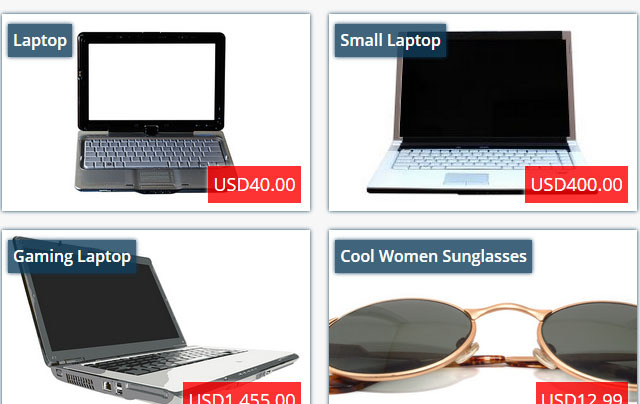 theme is fully integrated with eCommerce Product Catalog plugin. If you need to showcase the products on your website you can install eCommerce Product Catalog and it will work out of the box. The colors and structure will nicely match the theme design. You can check out the demo to see how it looks with blue color scheme. Once you have a license for this theme you will be able to get all our Theme Addons for free! This impleCode Product Theme is a WordPress Theme, which you can upload and install through your WordPress dashboard under the Appearance menu. Catalog Me! theme comes with unlimited websites license!